This week I started my work placement at the national archives in Stockholm, Sweden. I am currently working as a trainee in a project called “Yngre geometriska kartor” (Younger geometrical maps). 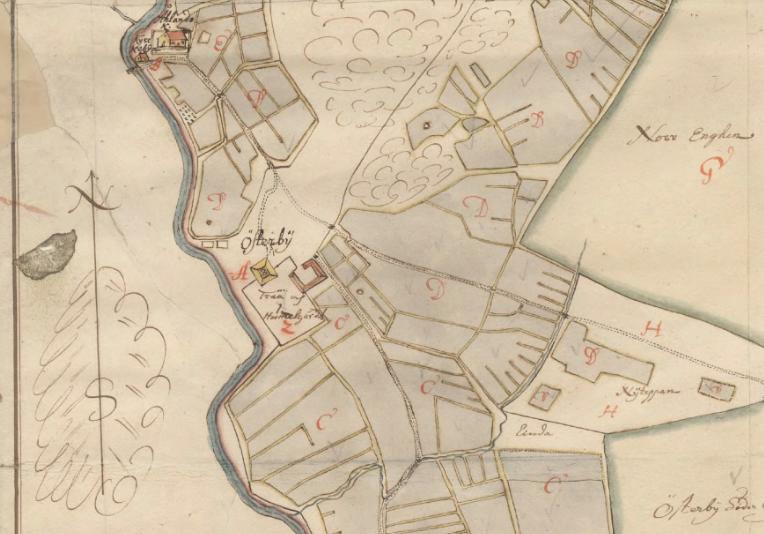 We are working with the digitalization of Swedish maps dating from the 17th century, putting coordinates on features found in the maps (like houses, mills, barns, bridges etcetc.) and making statistics of the mainly economical information found in the map descriptions. All the maps and the connected information are made publicly available through an online database called GEORG. For anyone interested in the historical geography of Sweden this provides a wealth of information previously rather unavailable. The landscape found in this maps have much older origins than the 17th century and conclusions about for an example medieval landscapes can be drawn from them. This is extremely exciting and I will keep you updated on the progress of our work this spring. 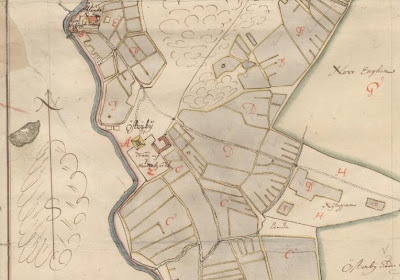 A map of Österby manor in Uppland from 1688 by a quite good cartographer named Petter Arosander, which I had the oppurtunity to register this week. The manor itself seems to have been replaced by a more modern one in later centuries though the foundations must still remain. The location of the church ("Ålands kyrka") in the northwest corner of the map remains intact. This was founded in the 15th century. The church village represented by the lonely house (the rest of the older village is located just west of the river) close to the bridge have even older origins and the name Åland can be traced to the 13th century. Here’s a link to the now finished project about the “Older geometrical maps” which maps dates to the start of the 17th century. The material is already available for the keen researcher to use. Basic knowledge in Swedish is required, however. jag vill att se mer om websiten ... hålla oss informerade!